This small church was built in 1966 to serve the needs of the settlement of Ka Ho, where the families of cured lepers and a few new cases live. 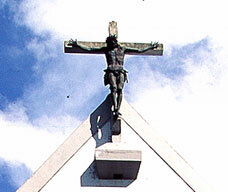 It has a magnificent bronze crucifix over the north door. 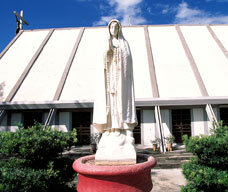 It was created and given to Ka Ho by Italian sculptor Francisco Messima. 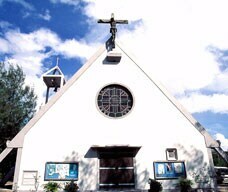 Also associated with the building of this church is the name of another Italian sculptor, Oseo Acconci.